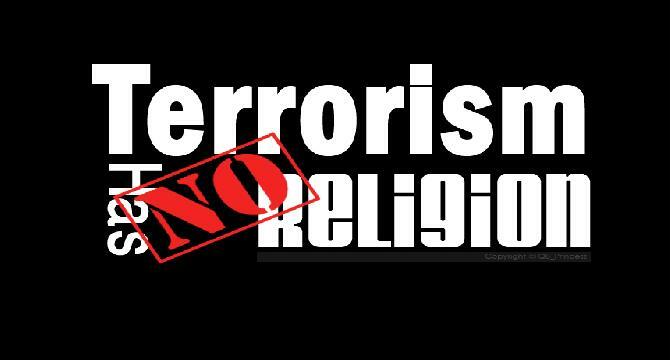 Terrorism and terrorist have no religion, they are neither Muslim, Jew nor Christian, they do not believe in any religion; extremism, fanaticism does not have a religion, it itself has become a religion and culture, independent behavior and it doesn't believe in Divinely revealed religions. The Holy Qur'an does not declare them to be Muslim, the enemy of mankind, irrespective of their way, religion, society, language is not regarded Muslim. Their punishment is the capital punishment, we believe in killing killers of mankind. Although Islam promotes peace, tolerance and security the western media is only interested in promoting extreme views, media shows the extremists shouting slogans against the west etc but they are never interested in showing the real moderate view. The USA agency are also not ignorant, they are aware of the terrorists, the extremists and their organisations but instead of eliminating them they just create embarrassment for the Muslim Ummah by allowing them to walk free. These are the issues which we must think over and address. Islam never allows to kill innocent people. So Muslim can't be terrorists. In other words these terrorists are not Muslims.